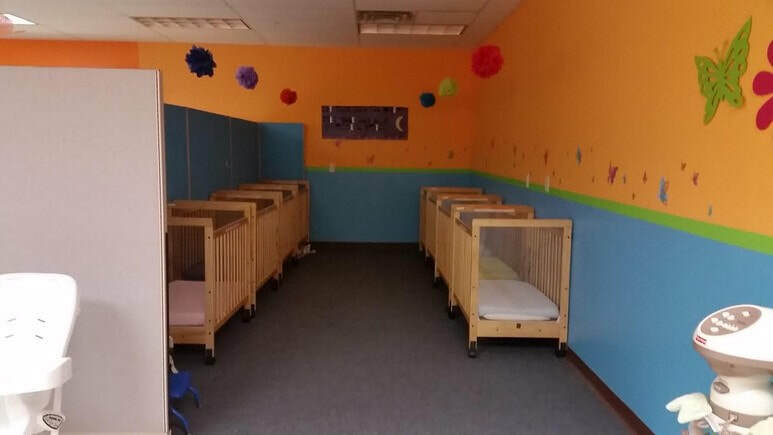 The infant room at Bright Child focuses on having the comforts of home when in our care. Our teachers in this room focus on intricate selection of infant equipment, toys, curriculum, and activities. 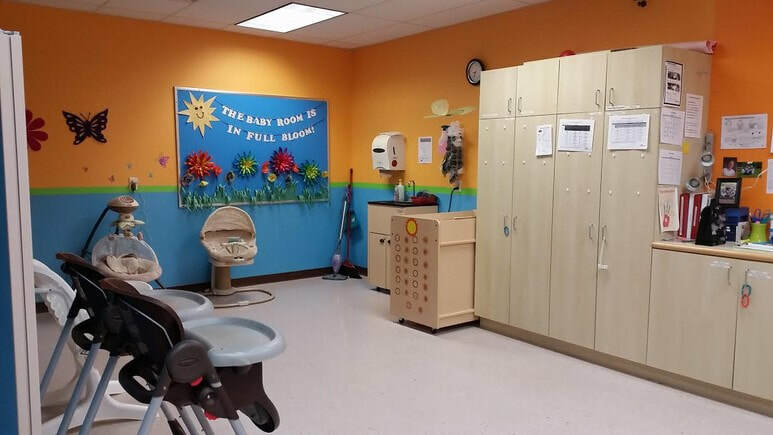 Safety is of the utmost importance from frequent sanitizing throughout the day to diaper changing procedure to the screening and training of the caregivers in this room. You will find these ladies have a passion for taking care of the babies in this room. 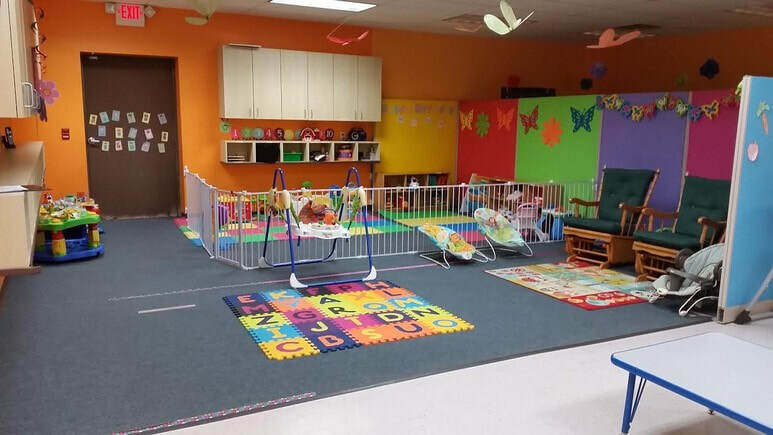 In this room regular playtime including; tummy time, music time, exploration, stimulation, nap times, feeding times are all formatted to maintain a structure appropriate for your child's development. We encourage sign language to increase early communication.